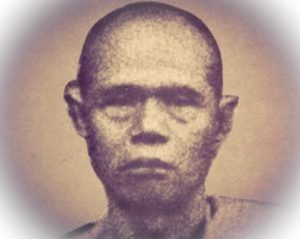 He was ordained in 2440 at the age of 12 as a Samanera Novice Monk, and remained ordained until the age of 20, when he was then ordained up one level to the status of a fully fledged adult Bhikkhu Monk. 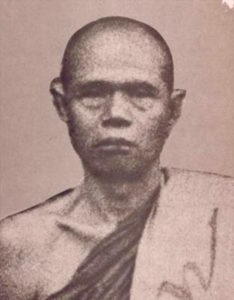 Luang Por Chaeng was the second abbot of Wat Bang Pang, in Nontaburi, Bangkok, after his predecessor Luang Por Pra Atigarn Jaroen. 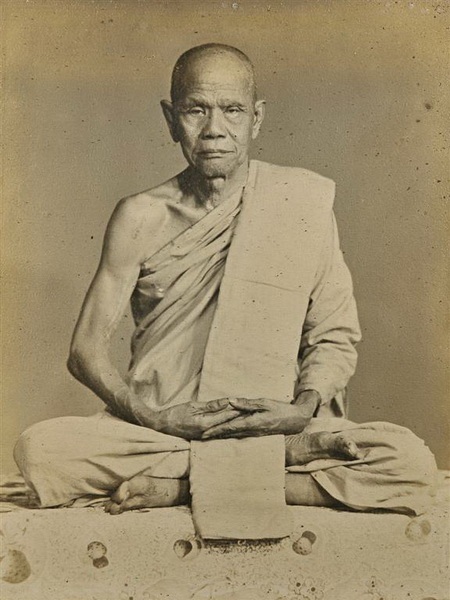 Luang Por Chaeng was a Pra Gaeji Ajarn Master Monk of the second World Wartime, of great importance in Thai History. He was highly reputed Master of Vipassana Kammathana practice, whose Mastery was heard of far and wide. His powerful psychic abilities to empower amulets was highly reputed within the Sangha on a National Level, and he was always an invited member of the greatest and most important ‘Putta Pisek’ (Buddha Abhiseka) blessing ceremonies in History, including the Great HIstorical Ceremony of empowerment of Magical Protective Yantra cloths and ‘Suea Yant’ Yantra shirts for the Thai Military. In the year 2484 BE, Many devotees gathered to officially ask Luang Por Chaeng to make some powerful amulets to protect them during the War. So Luang Por Por Chaeng made a very large release of amulets of different types, with extreme power and effort after many years of preparation. He empowered them for Kong Grapan Chadtri Klaew Klaad and Maha Ud to protect the Thai Buddhist people, in that time of Wars around South East Asia and the whole World. None of the multitudes of amulets blessed in the ceremony were rented out for money, instead, all were handed out for free to the devotees at the ceremony. His Pra Sivali statuettes have become a classic amulet, and are in ever sense a sacred religious artifact of the pre 2500 BE Era, that can be treasured and revered for generations to come. A truly sacred ancient amulet from one of the most powerful masters of the World War II Era.